MOTOI’s philosophy: “The Unification of the Host and Guest”. “The Unification of the Host and Guest” is a term derived from sadō (the Japanese Art of Tea preparation and ceremony) and a concept in which a desirable time and atmosphere is created by both the “Host” and “Guest” joining together in peaceful unity and harmony. 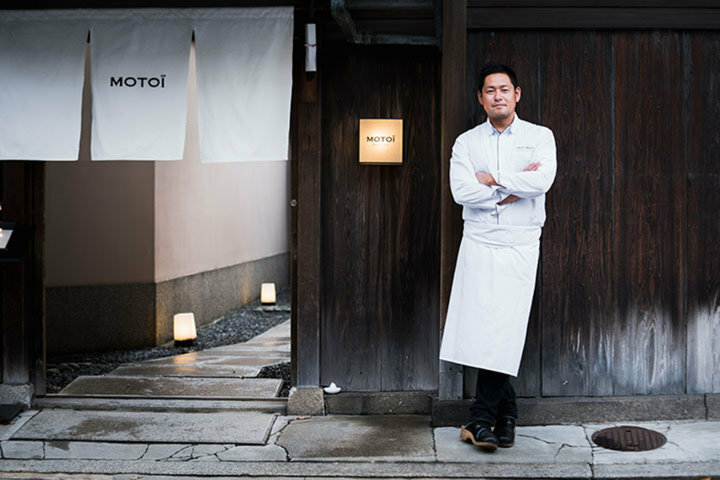 MOTOI deeply values the Japanese concept of "Wa", or harmony which is created by the positive vibes from staff and guests alike. It is our wish that guests enjoy every single second of their time at MOTOÏ and that we can fulfill each and every wish they may have. It is our mission and joy to create this harmony together with our guests. 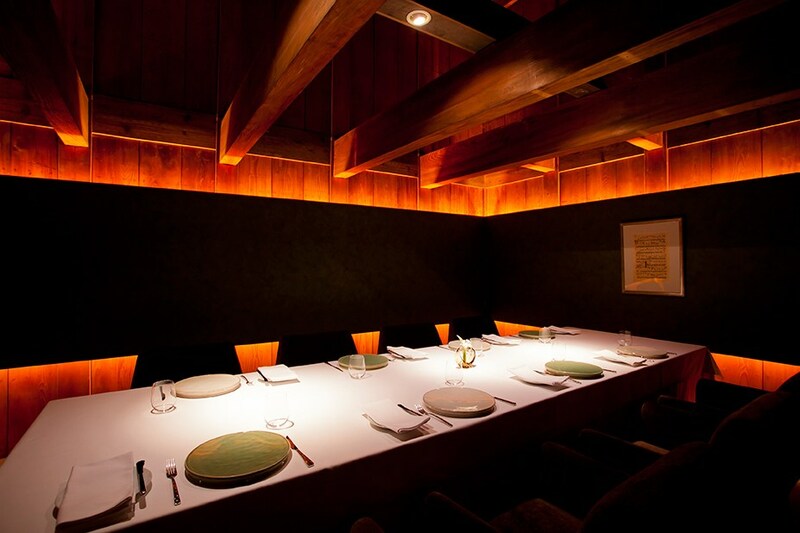 Located in a renovated Kyoto residence which boasts a rich history of over 100 years since its construction, the space provided at MOTOÏ is one in which the essence of Kyoto, the City of harmony, is fused together with the finesse of a French restaurant. The spirit of Japanese harmony and the exciting collaboration of French and Chinese cuisine created by our experienced Chef can be felt in every scene, beginning from entering our gates, to seating and enjoying the meal, up until bidding us farewell. Our staff are at your service and committed to making your experience with us one of perfect satisfaction. 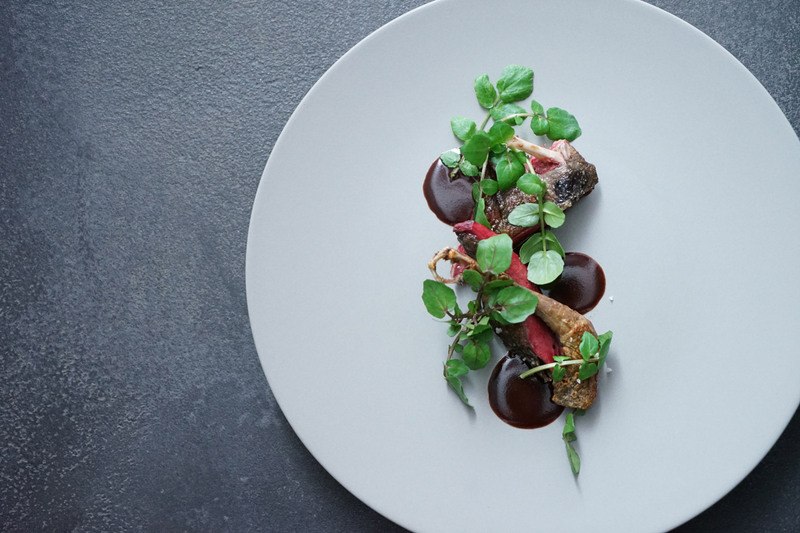 Born in Kyoto, Head Chef Maeda has a unique résumé starting out as a Chinese cuisine cook and eventually becoming a French chef. His creed to an authentic and earnest approach to cooking can be seen in his many culinary techniques, such as determining the right temperature of heat to use by eye, rather than using a cooking thermometer. Kyoto is an area rich in high-quality vegetables produced in its near vicinity. MOTOÏ strives to prepare all ingredients first-hand and many of them are sourced directly from local producers. There are even times fresh natural watercress from the Kamo River is hand-picked. MOTOÏ values the storyline and flow of the courses which incorporate the essence of the Chinese cuisine and it is our pride to do everything within our means to provide our guests with the best culinary experience possible.